Jodi Auborn grew up in the small upstate New York towns of Wilton, Hadley, and Lake Luzerne. She graduated from Hadley-Luzerne High School in 1995, and then received a Liberal Arts degree from Adirondack Community College, Queensbury NY, in 1998. Though not rich, Jodi's parents taught her to value the simple things in life. 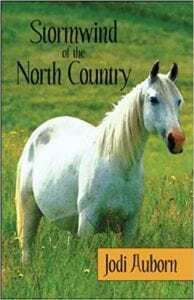 Her childhood was filled with books, music, and pets, craft projects and piano lessons and Girl Scouts, fishing trips and her first horse, a gentle off-the-track Standardbred. Her favorite times were the week-long family camping trips to Putnam Pond State Park, a rustic campground near her grandparents' house. 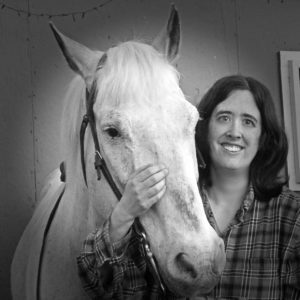 She tries to reflect that small-town lifestyle in her books. Her writing took a different turn in 2013 when she wrote Matthias: The Ghost of Salvation Point, a children's novel set at a haunted lighthouse in Maine. Matthias was released in 2015, earning excellent reviews from adult and young readers alike. 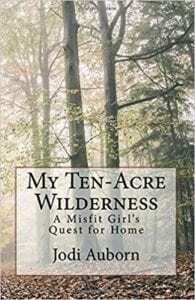 In the summertime, the author works at the same campground where she spent her childhood summer vacations. Back home, she stays busy learning to play the ukulele and riding her horse, a nearly-white Appaloosa gelding named Timmy. She enjoys exploring new places and carries a camera wherever she goes, challenging herself to find the fascinating and beautiful details in the ordinary and everyday. Jodi is single and lives in Ticonderoga, NY with her chubby and spoiled yellow cat, Tom. For Matthias: The Ghost of Salvation Point - "Ms. Auborn has brought to us a timeless story that brings the beauty of Maine into it. Lighthouses have always had a mystery to them, in my opinion, and Ms. Auborn’s story has brought this to life...I love the many aspects in this story. Although most that try to put a lot into their book can’t really bring it together in a good reading flow, Ms. Auborn was definitely able to bring everything together and make it flow perfectly for the reader. There is a ghost story, a treasure hunt, a kidnapping, and yet it all fits together like a beautiful puzzle...Adventure is always fun and exciting. Throw a couple of thrilling moments in it and you have a rather, well-written book. Would I recommend this book? Yes, I would." 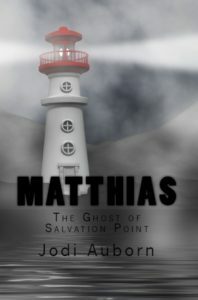 For Matthias: The Ghost of Salvation Point - “...Maine’s small town charm as well as the beauty and ruggedness of the coast are clearly and lovingly depicted in Matthias: The Ghost of Salvation Point by Jodi L. Auborn. In this unique story of friendship between a ghost and a young boy, the history of lighthouses and the lure of pirate treasure are brought to life as a family struggles with the choice of returning to a simpler time or enjoying the benefits of life in the big city. 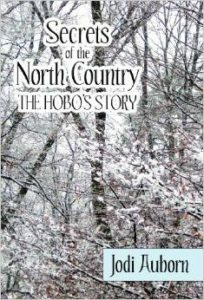 Well written and quite enjoyable, children of all ages can learn something about a period of American life as well as what’s in their own hearts as they read Dylan’s story."